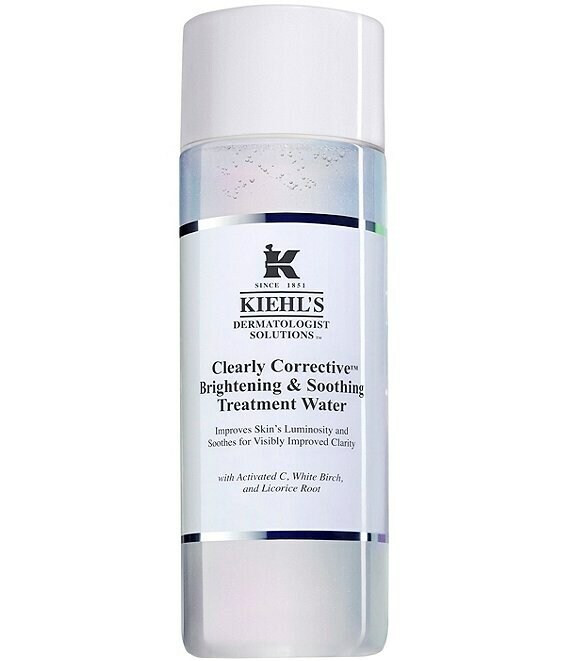 With a lightweight texture, Kiehl's gentle skin-brightening treatment water with Illuminating Minerals provides soothing hydration while giving skin a soft glow. This preparation helps to visibly brighten skin and diminish dullness for improved skin clarity. Infused with Licorice Root, this gentle formula visibly smooths and refines skin texture for enhanced clarity. Prior to application, gently shake formula until the Illuminating Minerals create an iridescent swirl. Pour water into palms or onto a cotton pad and lightly pat on face, avoiding the immediate eye area. Gentle enough for use twice a day. Follow with your regular skincare routine and a daily sunscreen.